Researchers who conducted a clinical trial in American Samoa to test whether community health workers could help adults with type 2 diabetes found that the patients who received the intervention were twice as likely to make a clinically meaningful improvement as those who remained with care only in the clinic. The results appear in the journal Diabetes Care. In the U.S. territory, 21.5 percent of adults have type 2 diabetes. Meanwhile, 58 percent of families are below the U.S. poverty level. The research team, led by public health researchers from Brown and The Miriam Hospital, wanted to test whether four trained local community health workers led by a nurse case-manager could extend the reach of the territory’s limited medical staff. 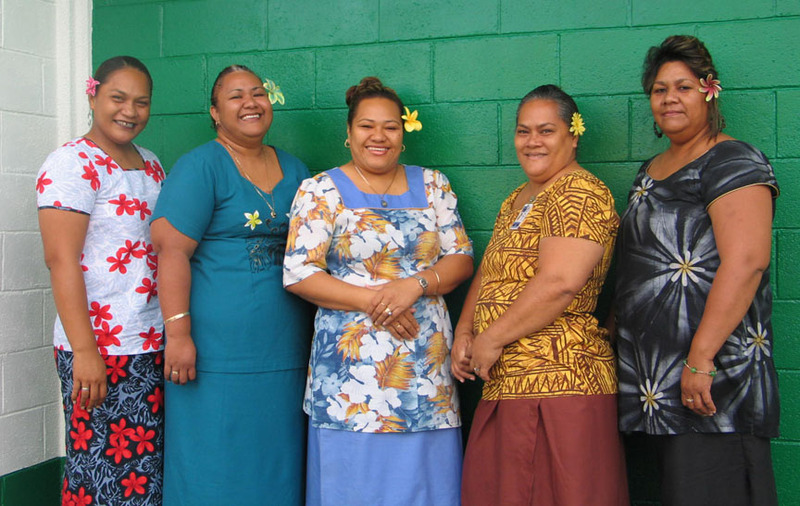 For their study, published online in the journal Diabetes Care, the team recruited 268 Samoans with type 2 diabetes and randomly assigned them, according to their villages, into two groups: One panel received a personal, culturally tailored intervention from community health workers, and one group continued with only their usual primary care. After a year, members of the group that received the intervention were twice as likely as those in the usual care group to have made a clinically significant improvement in blood glucose levels, the researchers found. For the intervention group, the community health workers trained by the researchers and led by the nurse would visit each patient’s home or workplace either weekly, monthly or quarterly depending on the patient’s level of health risk from the disease. The workers would test and explain blood glucose readings, remind patients to keep up with medicines and doctors’ clinic visits, and lead educational discussions about diet and exercise based on educational materials developed by the research team. If patients were having problems caring for themselves, the workers were trained to help them solve the problems. Patients could choose from a menu of eight topics for their educational discussions. The basic model for the intervention came from the successful “Project Sugar 2” trial in Baltimore, but study lead author Judith DePue of The Miriam and Brown said she and her team made many cultural adaptations after conducting extensive ethnographic research, including focus groups with patients. The educational materials were in both English and Samoan. The foods and activities represented in the text and visuals were familiar and accessible in the territory’s culture. All the community health workers were local residents, and the community health worker visits were free of charge (DePue’s research found that even small co-pays were deterring some of the territory’s residents from seeking primary care). The study’s main measure of that success was a blood glucose level called HbA1c. At the beginning of the study the average level in the intervention group was 9.6 percent and in the traditional care group was 10 percent. After a year, the intervention group members brought levels down to 9.3 percent on average, while among the traditional care group the average level remained at 10 percent. Meanwhile, more than 42 percent of patients in the intervention group were able to reduce their HbA1c level by more than half a percentage point, a reduction that diabetes researchers consider clinically significant. The researchers acknowledge that 9.3 percent is still much higher than the goal recommended by the American Diabetes Association of less than 7 percent. Still, the greatest improvements in the study occurred among the highest-risk patients who received the most frequent community health worker interactions. Future work in this resource-poor setting, DePue said, may need more sustained support or a more comprehensive approach. But McGarvey and DePue said the overall results should encourage health officials to consider community health worker models for diabetes 2 care in areas, from Baltimore to American Samoa, where physician’s office care has not proven to be enough. In addition to McGarvey and DePue, other authors on the study are Shira Dunsiger and Rochelle Rosen of Brown and The Miriam Hospital; Andrew Seiden of Brown; Jeffrey Blume of Vanderbilt University; Michael Goldstein of the VHA National Center for Health Promotion and Disease Prevention; and Ofeira Nu’usolia, and John Tuitele of the Tafuna Clinic of the American Samoa Department of Health. The National Institute of Diabetes, Digestive and Kidney Disorders funded the study with grant R18-DK075371.